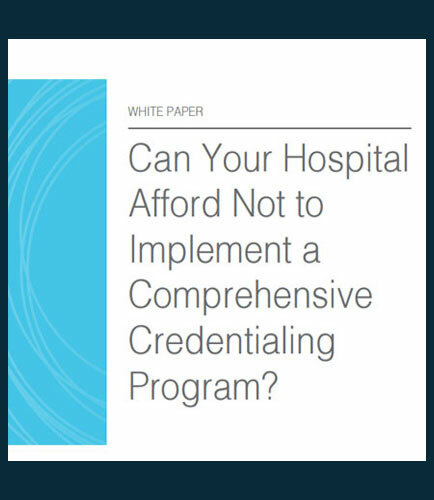 "Implement a Comprehensive Credentialing Program"
Credentialing is the process of obtaining, verifying and assessing the qualifications of healthcare personnel. It is a fundamental component of regulatory compliance and is required for accreditation as well as the protection of patients and employees. Credentialing standards are based upon recommendations by organizations, such as the Occupational Safety and Health Administration (OSHA), CDC, The Joint Commission (TJC) as well as industry and professional regulatory bodies. These organizations are committed to improving patient and employee safety, and credentialing helps operationalize this mission. Comprehensive credentialing includes verifying everyone in the hospital is properly immunized, has received the appropriate training, has been vetted through drug tests and criminal background checks and has a thorough understanding of the hospital's health and safety policies.